Ready for a more intelligent hosting experience? When a guest books your listing, we’ll notify you via email. In the email you’ll see the guest’s temporary keyless entry code, as well as information to assist you during the check-in process. 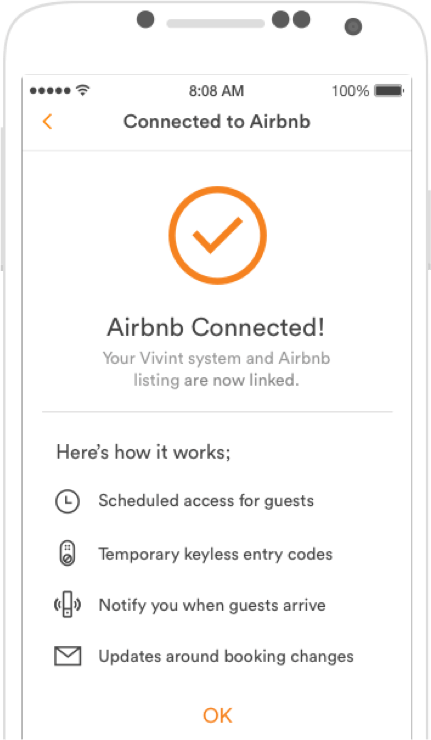 Vivint emails your guest a unique keyless entry code and instructions on how to enter the listing. 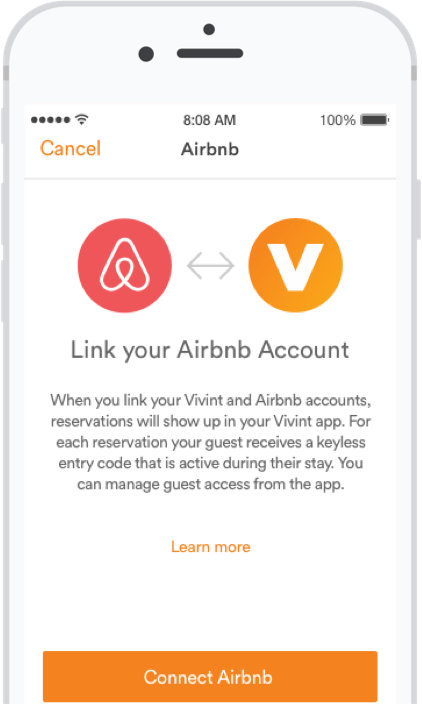 Vivint activates your guest’s entry code prior to their arrival. Their arrival will show up in the app’s activity feed, and you can check Doorbell Camera history to verify the number of guests. 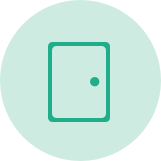 When they arrive, your guest will enter their keyless entry code into Smart Lock and enter the listing—in the event the guest has forgotten their code, you’ll be able to unlock the door remotely through your app. Element smart thermostat intelligently regulates the listing’s temperature based on guests’ presence in the space—you can effortlessly ensure their comfort from your smartphone. Your guests can enjoy the comforts of home without the typical inconveniences of being in an unfamiliar place—no more carrying loose keys, having to remember to lower the thermostat before checking out, or coordinating check-in times around unpredictable travel schedules. After your guest leaves, you can arm your alarm to secure the listing until your next guest arrives; if you use a housecleaning service, give them their own keyless entry code so you don’t have to coordinate with them after every checkout. You’ll be able to verify their comings and goings through the Vivint Doorbell Camera. Your guest’s temporary user credentials and keyless access code will automatically expire after checkout. You can lock up after them, check that they left at the scheduled time, and check thermostat settings from your smartphone, simplifying the checkout process. A certified Smart Home Pro will install your system after a free consultation to determine your needs.